Users cannot choose how to pay; they have to select from one of the pre-defined options. In most cases, the user has to type in an actual credit card number on each site. This is like giving someone the keys to your expensive car, letting them drive it around the block in a potentially dangerous neighborhood (the web) and saying please don’t get carjacked! Merchants typically have to manage all this on their own: payment processor setup, costly processing fees, and possibly even PCI compliance. There are services to mitigate a lot of these complications such as PayPal, Stripe, and others but they aren’t integrated into web devices very well. Mozilla wants to introduce a common web API to make payments easy and secure on web devices yet still as flexible as the checkout button for merchants. As a first step, Mozilla will introduce navigator.mozPay() in Firefox OS so that web apps can accept payments. In an earlier article I talked about purchasing an app and receiving a receipt. navigator.mozPay() is different in that there is no concept of what product is purchased, it’s just an API to facilitate a payment for a digital good or service, whatever that may be. The payment starts and finishes in the client but further processing and notifications happen server side. This article briefly explains how it all fits together. For complete, in-depth documentation read the Firefox Marketplace guide to in-app payments. Multiple providers will facilitate payments behind the scenes of navigator.mozPay(). For example, the Firefox Marketplace will be able to facilitate payments. As a developer you will essentially grant permission to each provider that you would like to sell through. In the current design of the API, you do this by asking each provider for an Application Key and an Application Secret so that you can digitally sign payment requests. A signed request prevents unauthorized parties from selling your products and prevents users from tampering with the price, etc. You define prices as price points so that the payment provider can handle currency conversions for you in each region. In this example, pricePoint 1 might be €0.89 or $0.99, etc. Micropayments in small amounts will be supported. Consult the navigator.mozPay() spec for details on how to construct a payment request JWT. // The payment window has closed. To implement whenPaymentResultReceived() you might open a web socket to your server, wait for the payment result, and verify the incoming JWT signature. The navigator.mozPay() spec has details on how postback and chargeback notifications work. If you’re already working on a game or a web app for Firefox OS try thinking about using navigator.mozPay() to offer premium content. We thought so too! We built libraries for Node.JS and Python to make the server side logic for navigator.mozPay() as easy as possible. Libraries for more languages are on the way. We also are experimenting with removing the server prerequisite entirely. Advertising has been the primary business model on the web for a long time but users have made it clear that they don’t want to see ads. Mozilla isn’t trying to directly disrupt the ad business but it is trying to fix serious privacy issues relating to ad networks. What if users explicitly paid for content instead? navigator.mozPay() enables this kind of direct payment model: if something is good on the web, you can pay for it. It already seems to be working well for existing mobile apps. Will mobile ads even generate the same revenue for content producers as they do on desktop? I don’t have answers to these questions but one thing is for certain: the web should support businesses of all kinds and payments should be a first class feature of the web. Mozilla’s main goal with navigator.mozPay() is to give users and merchants choice, security, and an easy to use payments system. The details about how merchants interact with payment providers is not yet specified in the API and that is clearly a gap. 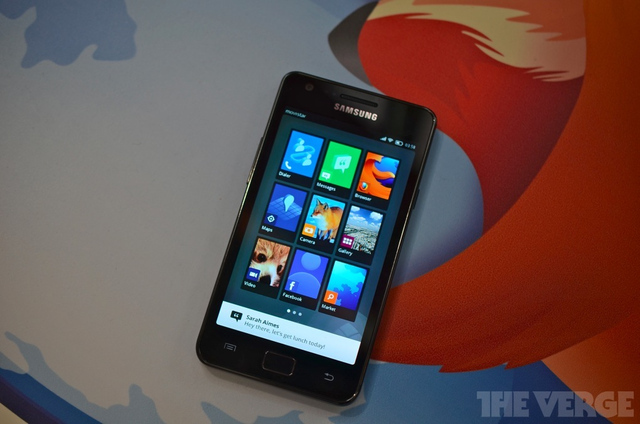 The first Firefox OS phones will ship with a whitelist of allowed payment providers which is also not ideal. How can customers trust that they will receive the goods after paying? How would customers ensure that their payment credentials are handled securely? How do merchants guarantee that they’ll get paid after delivering goods? As with anything related to money, there is incentive for fraud every step of the way. BitCoin is a digital currency that solves some of these trust issues with block chains and PaySwarm is a web payment protocol that solves some of these issues with decentralized assets, public keys, etc. Mozilla will be watching PaySwarm as well as other models and hopefully navigator.mozPay() can incorporate some of these concepts eventually. Kumar hacks on Mozilla web services and tools for various projects, such as those supporting Firefox Add-ons. He hacks on lots of random open source projects too. Very cool, is this intended strictly for click based purchases, keeping recurring billing on the server? Or do you see this also available for auto billing purposes? The PaySwarm work (as mentioned at the end of the article) does plan to integrate Bitcoin as well as other alternative currencies. There are a number of regulatory issues to address, but we think they’re surmountable issues. Sounds decent. Complicated given the number and variation in payment systems. Any Mozilla plans to open its own payment system as an additional revenue stream to fund developers + researchers for this down the line ? Marcin, I’m definitely not speaking for Mozilla here, but will be making an open proposal to the Mozilla organization to fund some of their development initiatives by building payment into the browser (and charging a miniscule fee that will go towards more awesome Web development at Mozilla). There are many, many, legal hurdles that would need to be overcome to see that happen, but the PaySwarm (and Meritora) work certainly makes this a possibility. We are interested in pursuing that possibility if folks at Mozilla are interested. Marcin, I’m not sure if I understand your question correctly but navigator.mozPay() is intended exactly as a revenue stream for developers, researchers, or whoever wants to sell digital goods, take donations, etc. The goal is to let developers exchange content for money online easier. The first version will just be for click based purchases. You could keep track of recurring schedules on the server and prompt users when they return to the app but in the future we plan to offer proper recurring billing as part of the API. I suppose there’s a mistake on the meaning of “chargebackURL” . Usually a chargeback happens when a user cancels a transaction after it has been billed (the user tells his bank he never made this payment himself, so the bank re-credits user’s account). It’s an asynchronous event that may happen many months after the real payment. Do you have any clue on what is really this url meant to be used to? chargeback is a loaded term, yes. In our case it could mean the user asked for a refund or the the charge was reversed or it simply failed in some other way. The app may indeed get notified *in the future* of a chargeback. This sounds great, I would love to see an example using Bitcoin. We are still working on Bitcoin support in PaySwarm, but it is planned. Awesome, I hope Bitcoin is incorporated soon! As bitcoin takes off it will make for amazing payment methods for web browsers. Web browsers could have integrated wallets and if you have remeber password selected payment will be as simple as clicking a button, literally, it couldn’t get simpler. Dan, R, while I share your enthusiasm for Bitcoin, and we’re building support for Bitcoin into PaySwarm, there are downsides – namely, no chargebacks. This is both a feature and a bug as it makes it highly unlikely that high-value transactions will happen with Bitcoin. There are some cases where you want to use USD and others where you want to use Bitcoin. PaySwarm is currency agnostic, and will support virtual currencies like Bitcoin as well… each has its place and use. I am curious to understand if Bitcoin or Payswarm for that matter is capable of handling micro transactions, like under US$.50, down to $.05 in a cost-effective way. I am looking at solutions for micro-payments, particularly interesting for emerging markets where transactions could be very small. The issue is that payment processing overhead can be very high and exceed the value of the transaction itself. There are a lot of middlemen involved, but Bitcoin seems to have the promise of potentially eliminating middlemen and fraud risk. Can Bitcoin be split in micro units and are there any processing fees involved in transactions? It would be an interesting method with PaySwarm. Meritora’s fees are 2% of the transaction amount, with a $0.0002 minimum transaction fee (this means that you can have thousands of tiny, tiny transfers, but the total transaction amount must result in at least $0.0002 of fees to cover the costs of storing the transaction for you). The bottom line is that both PaySwarm and Bitcoin can do microtransactions today. +1 for bitcoins Moz!!! That is a fantastic idea! The problem with ads is not their visability but rather the beligerent tracking that accompanies them. The only reason ads get sacrificed in the privacy war is because the way they are implemented makes them the easiest part to filter. This is the point when someone asks, “what if the user has JS disabled?”! I’ve been mostly developing webshops for the past 10 years, and this is something that really keeps technology back, as you need to have a separate system for those who have JS disabled for what any reason, because it seems the shop keepers are worried they’d loose sales because of it. Actually what I was thinking was that Mozilla could become a payment gateway itself and then use some portion of the fees collected to fund development efforts (whether just for the mozPay initiative or the browser as a whole), thereby reducing the reliance on donations + agreements with Google. Not clear whether that conflicts at all with the non-profit status of Mozilla Corp but thought I’d throw it out there. Marcin, yes, Mozilla does intend to support its mission by charging a nominal fee when processing payments. However, we also would like to introduce competition into web payments so that the fees go down for everyone. It is worth mentioning that the Firefox Marketplace itself uses navigator.mozPay() to charge for application purchases requested from Firefox OS devices. Mozilla already implemented a payment gateway that will act as a payment provider for navigator.mozPay in the first version of Firefox OS. I don’t know if there will be a fee collected for each payment though. Note that this doesn’t mean that there won’t be other possible payment providers. Hi. Just a short question. Is it possible to turn the UI of Firefox into the first one? On the simulator or on the geeksphone. If not, is there any way to change the UI manually? I mean changing the CSS of the OS. Francisco: Maybe. You’d have to dig pretty deep into the history of Gaia https://github.com/mozilla-b2g/gaia/ but if you went back as far as that screenshot other things won’t work too well since it was unstable back then. Thanks for such a wonderfull idea! What are the non-US payments? Does it deal with VAT, BTW, IVF, state sales tax or other excise taxes? Do I need to adapt accounting software to work with this? Interesting work! We’re have the opposite of the usual use-case – we want to pay money to consumers, not take it. Our (free) game awards prizes to the best players, no strings attached. We’re currently planning to use paypal but getting the prize money into their system has a ~3% charge we’d have to take out of the prizes. Is there any way or any plans to be able to send money using your api? That would be very useful for us. Thanks Kumar! I generally like escrow systems – nice to see someone offering that. If anyone knows of other alternatives I’d appreciate the heads-up! We had also been considering BTC, of course, but are not sure if the average consumer is ready for those yet. This sounds great for in-app purchases / addons to existing applications. Is there also a mechanism in place (in Firefox Marketplace?) for 1-time up front purchases? e.g. If I want to sell my game/app for the ~$1 price tier… is there a way I can set that up in the store?